A Couple of my favorite pictures from our trip last July. Aww. Sweet! 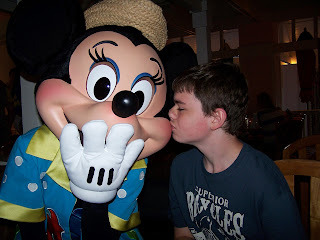 Minnie is blushing, isn't she? That makes me want to cuddle up with Eeyore! Aww, love them! That is a great photo of you and Eeyore. Aww, that's so sweet! Dakota has great taste! 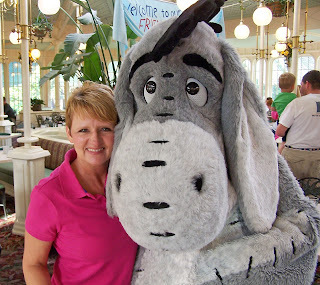 You look fabulous with Eeyore!! You guys are very sweet!! Dakota is a good sport when it comes to Disney. I'm a lucky mom. How cute are you and your son! Thanks April & :D!! Dakota is a pretty special young man. Hi Manda! I am so happy to "see" you! I hope your holidays were wonderful! !